WESTOVER, W.Va. - Deputies with the Monongalia County Sheriff's Department announced they will be conducting a DUI checkpoint in Westover on Friday evening, and the early morning hours of Saturday. 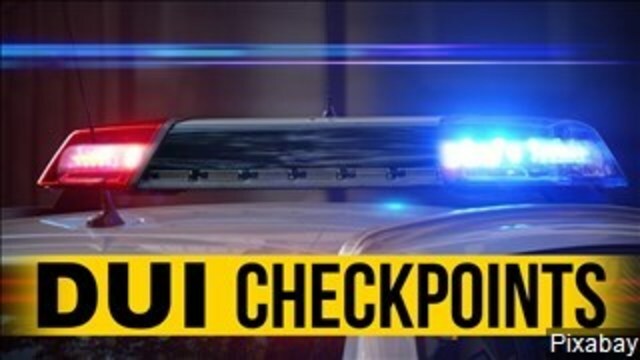 According to deputies, the checkpoint will be conducted across all four lanes on Route 19 in Westover from 8:00 p.m. on Friday until 2:00 a.m. on Saturday. The Monongalia County Sheriff's Department has a policy in place to detail the selection, setup and operation of all DUI checkpoints. This policy and all applicable court decisions will be followed during the conduction of this checkpoint.